No.46 bus at Imamiya-shrine.No.46 bus links Kamigamo-shrine to Imamiya-shrine, Bukkyo University, Nijo station, ShijoOmiya, ShijoKarashuma,ShijoKwaramachi,Gion, Heian-shrine and Okazai. 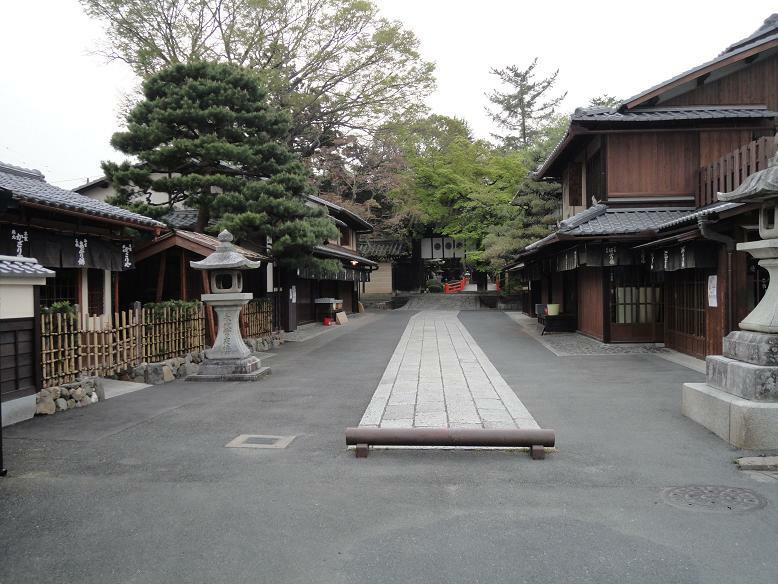 Aburimochiya next to Imamiya-shrine.Aburimochiya(The tea houses of Aburimochi) has a history of over 1000 years. This place is very famous for the TV drama and the movie. Aburimochiya through the gate of Imamiya-shrine. In the Daitokuji-temple. 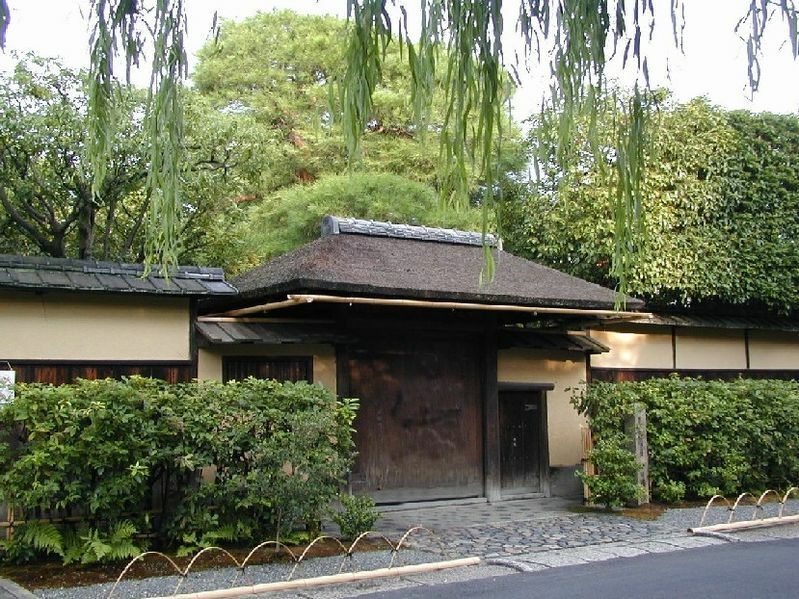 Daitoku-ji Temple was founded in 1325. 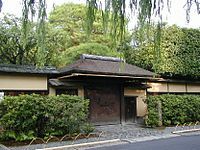 It is the head temple of the Rinzai sect Daitoku-ji school of Japanese Zen Buddhism. 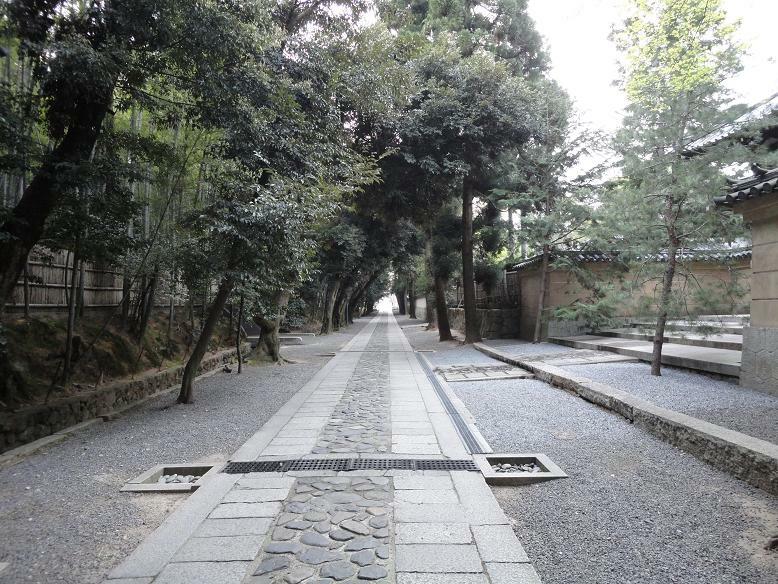 There are many temples in Daitokuji. But some is not open for everyone. No.9 bus at Nishihongaji-temple. 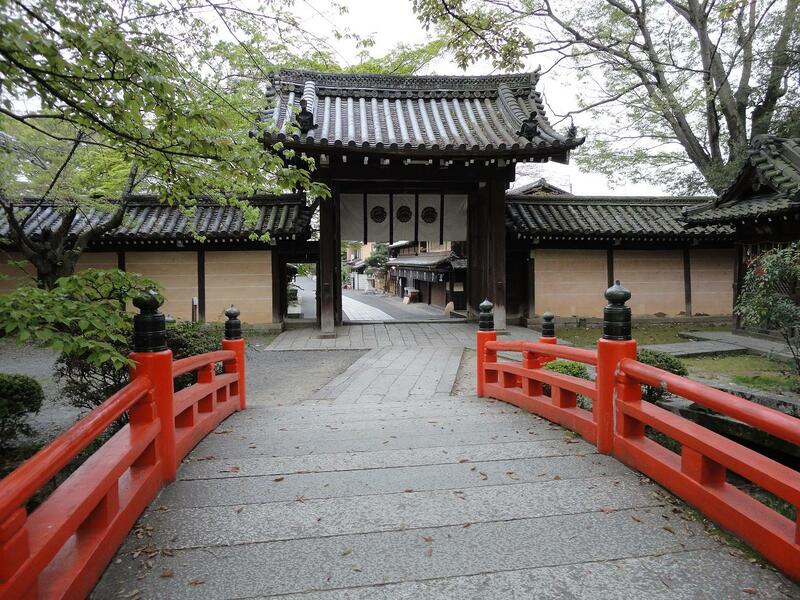 Nishihonganji is the head temple of Jodo Shinshu Sect. It is the place of real faith. 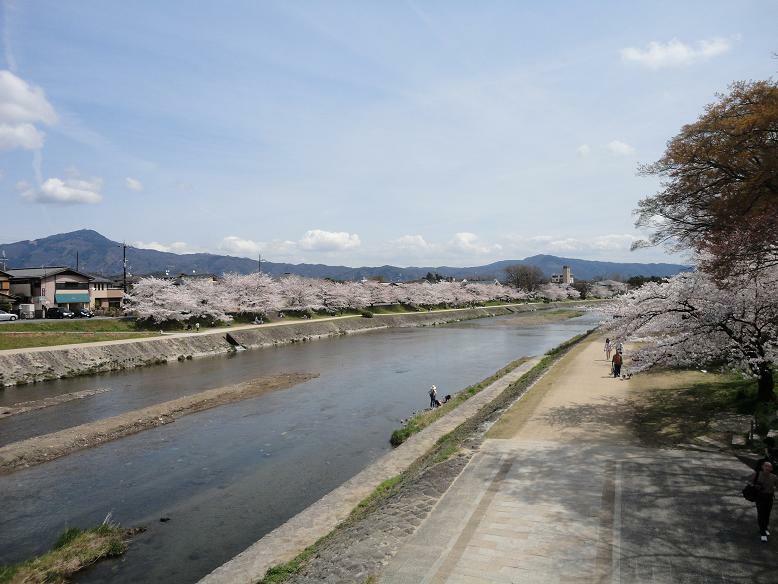 There is a biggest wooden building in Kyoto. 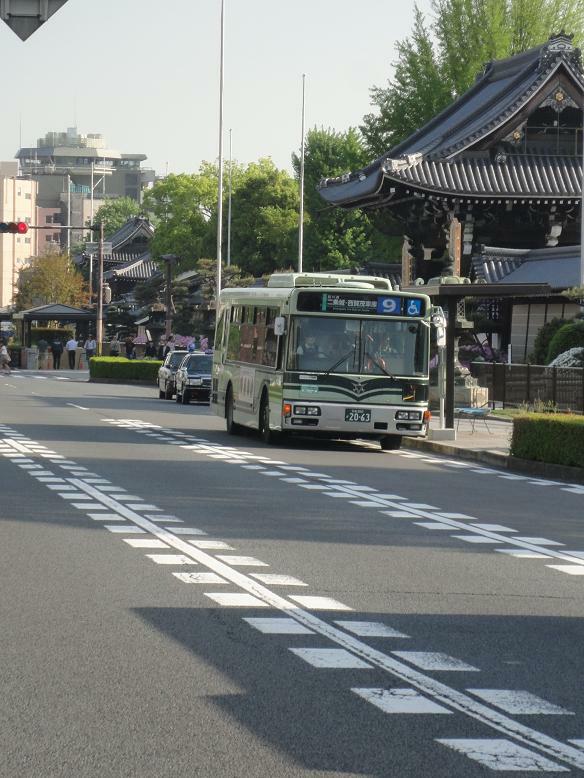 No.9 bus at Nijo castle. 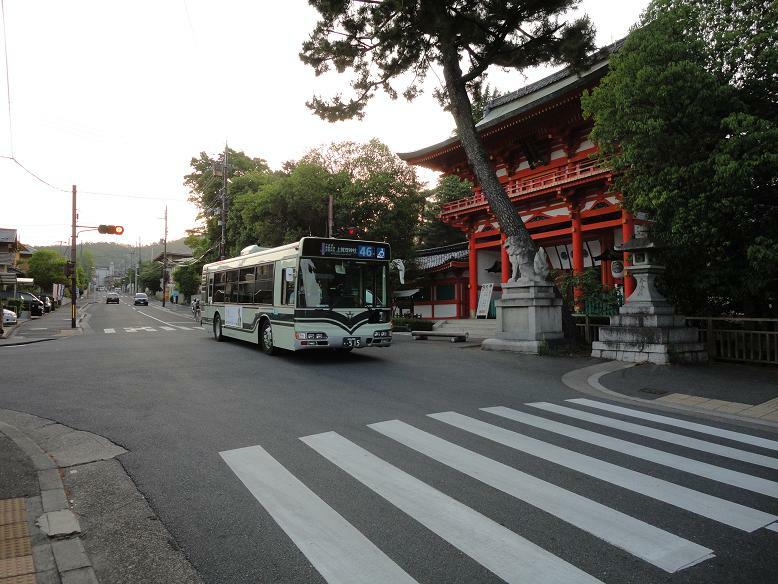 No.9 bus links Kyoto station to Nishihonganji-temple, Nijo casle, Seimei-shrine, HorikawaTeranouchi,Misonobashi and Kamigamo-shrine. Horikawa promenade. 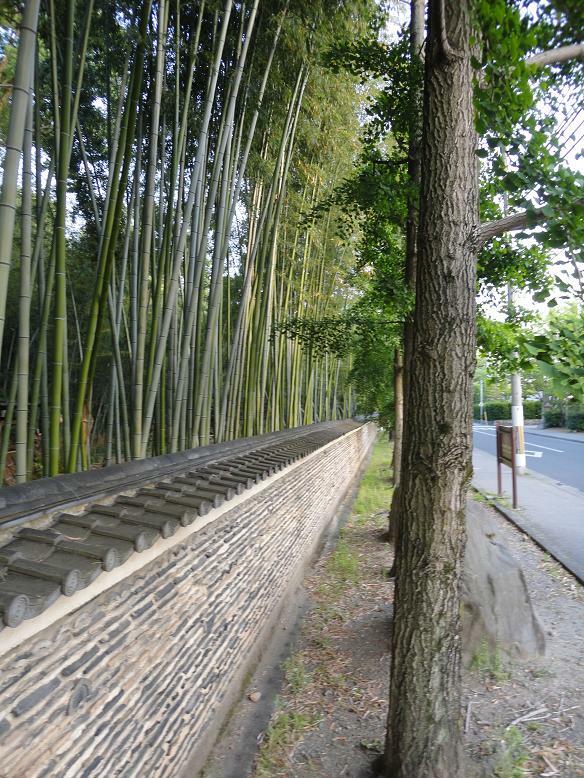 There are beautiful rows of trees of the willow around Nijo-jo Castle. 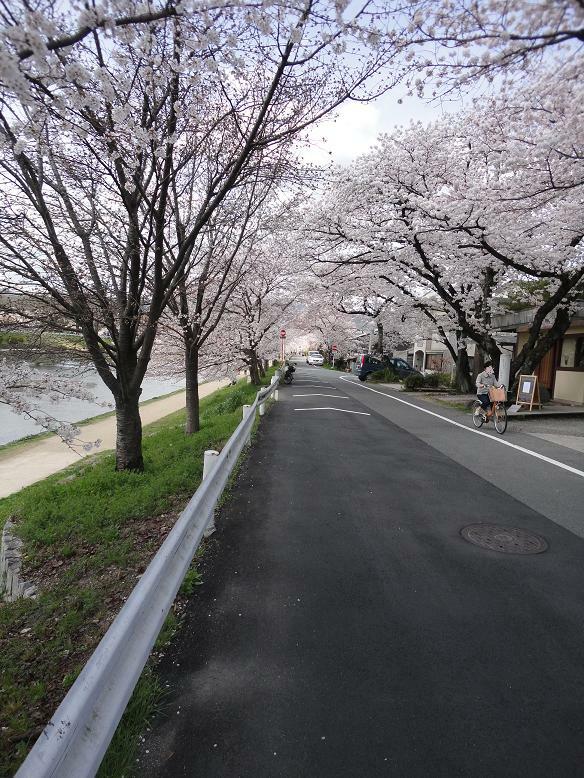 The Horikawa promenade is under lebel of Horikawa street around there. 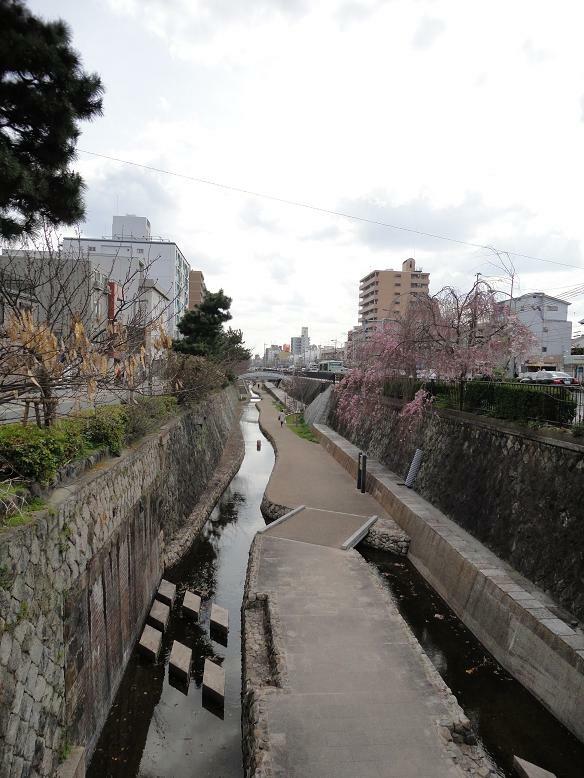 But there is the promenade on the ground around Imadegawa and HorikawaTeranouchi area. 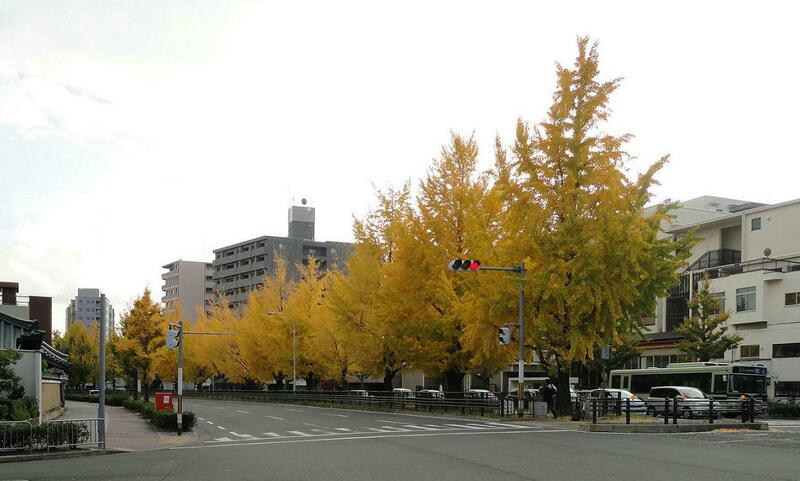 There are many beautiful ginkgo trees there. 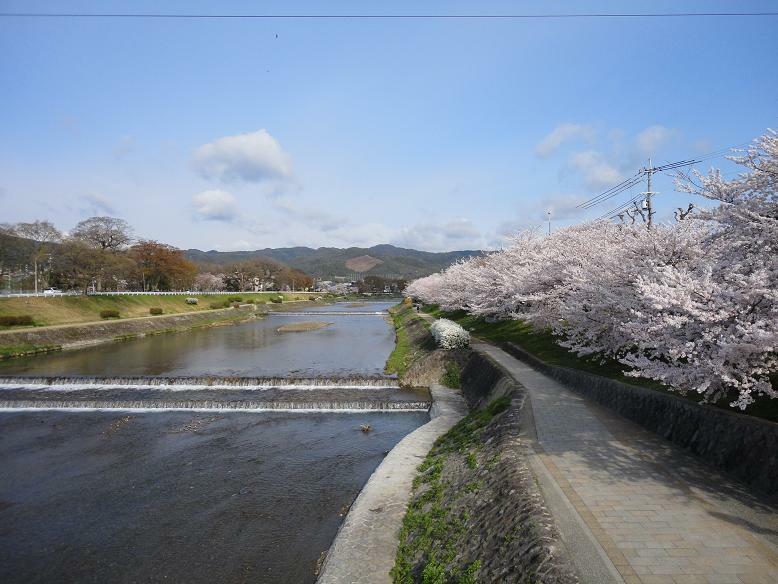 Fushinan tea room of Omotesenke school and Konnichian tea room of Urasenke school are located behind HorikawaTeranouchi. They are head of schools of the Japanese tea ceremony. 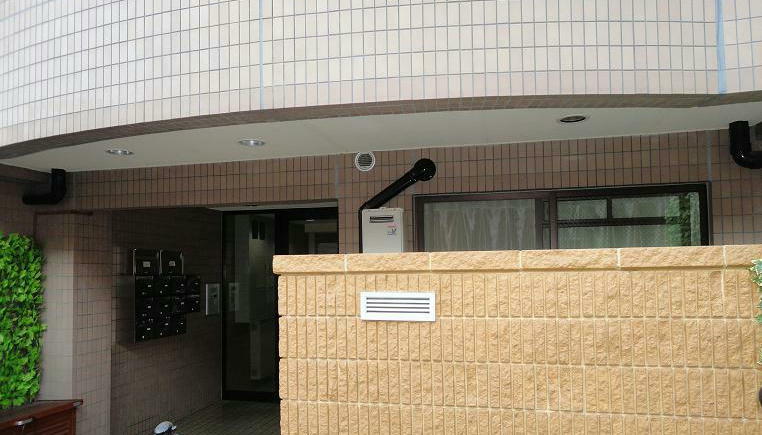 The museum is opened to the public, but the hermitages(Fushinan and Konnichian) are not open to everyone. 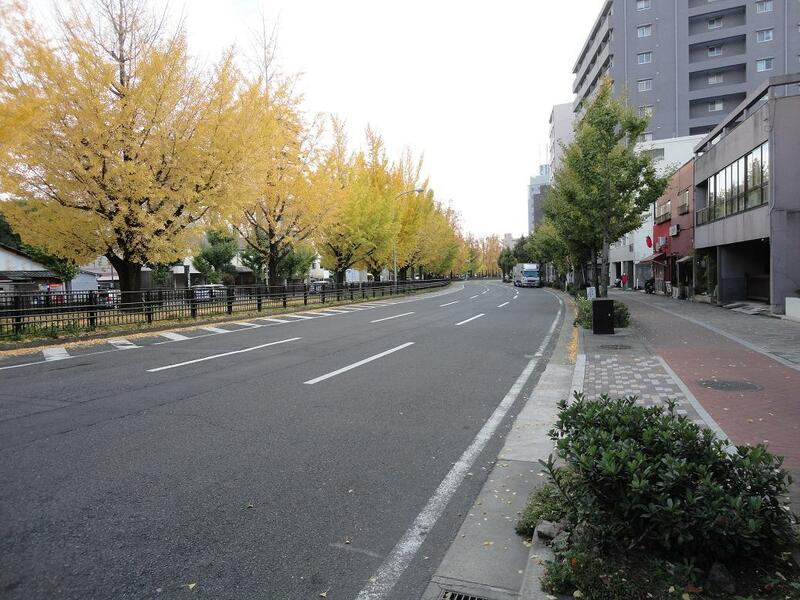 The colored leaves of the ginkgo around HorikawaTeranouchi are very beautiful. No.9 bus go through around HorikawaTeranouchi.